Once you have set up your database and user, you can start managing your database. 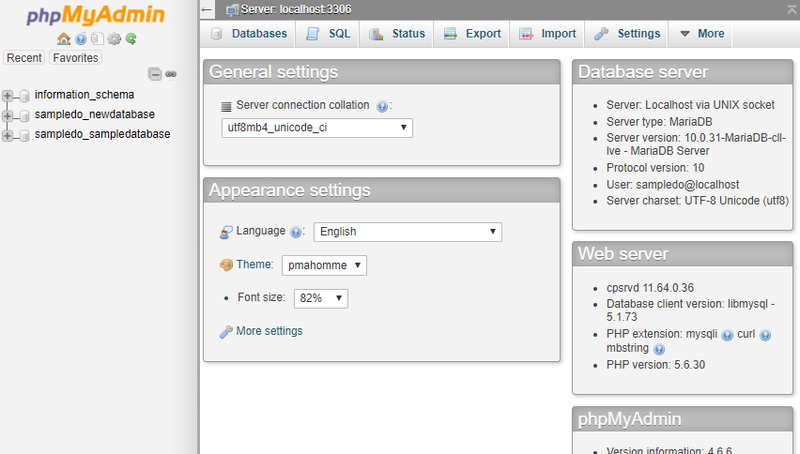 cPanel comes with phpMyAdmin for database management. Using phpMyAdmin, you can manage all aspects of your database’s structure and data. You can create and drop tables, import and export data, execute SQL statements, repair tables and much more. NOTE: Before you can manage a database within phpMyAdmin, you must first create the database. For more help with creating a database, please see: Creating a MySQL database.